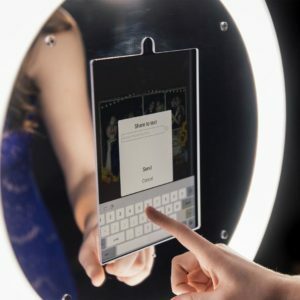 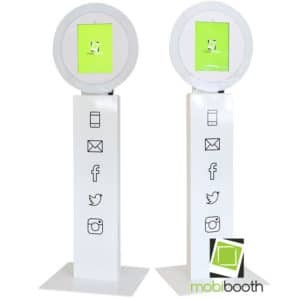 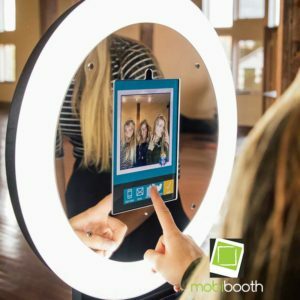 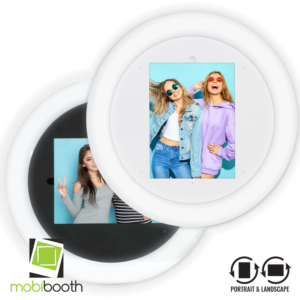 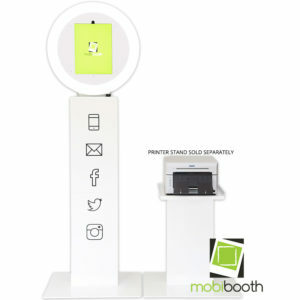 The Mobibooth Aura is the ultimate brandable iPad Pro photo kiosk in the photo booth market. 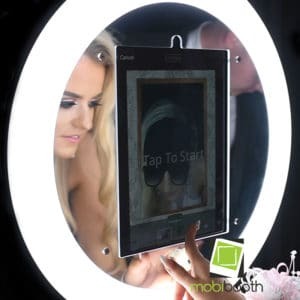 It features a large ring light , tilting camera, exterior light dimmer, 3-piece assembly and rolling case. 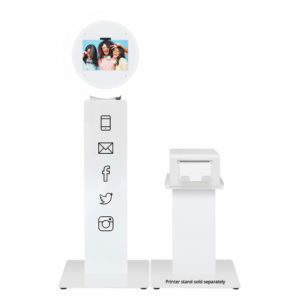 These kiosks are perfect for Gif Booths at any event.